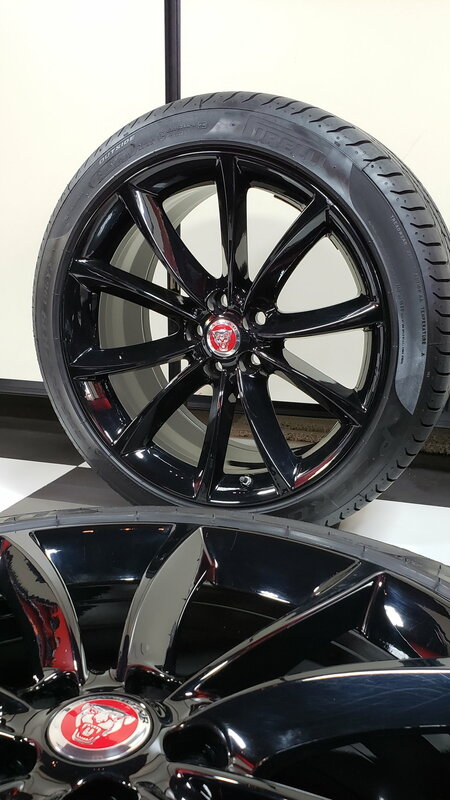 Original Factory OEM Jaguar 19inch wheels in gloss black. PERFECT condition on all, NO curb rash or damage. New Pirelli PZeros with less than 500 miles driven on both the tires and wheels. Hi, my name is Rick & I live in the East Bay. I’m trying to figure out if they will fit my 2010 XKR. I also have 19” non alcon brakes on my car. Has anyone else asked this or do you happen to know? I’ve been researching some old forum posts & im probably more confused now then before lol. are these still for sale? if so, please PM me.